Rochester and Emory will be seeking revenge this weekend as the Maroons travel east to begin the second half of their treacherous UAA schedule. Rochester and Emory will be seeking revenge this weekend as the Maroons travel east to begin the second half of their treacherous UAA schedule. Chicago made quick work of both teams last weekend, stifling Emory’s usually potent offense on Friday and dominating previously unbeaten Rochester on Sunday. The Maroons are anticipating their opponents to be emotional after they opened up two wide margins of victory, 68–49 on Friday and 75–59 on Sunday. Emory, especially, will have to adjust their game plan if they want to break through the stifling Chicago defense that held them to a season-low in points. Star sophomore Hannah Lilly was unable to find the light of day, scoring only nine points—10 below her average of 19. Rochester remains the #5 team in the nation, even after getting blown out by the Maroons. The team was unable to capitalize on its height advantage, grabbing only 23 rebounds to Chicago’s 36. 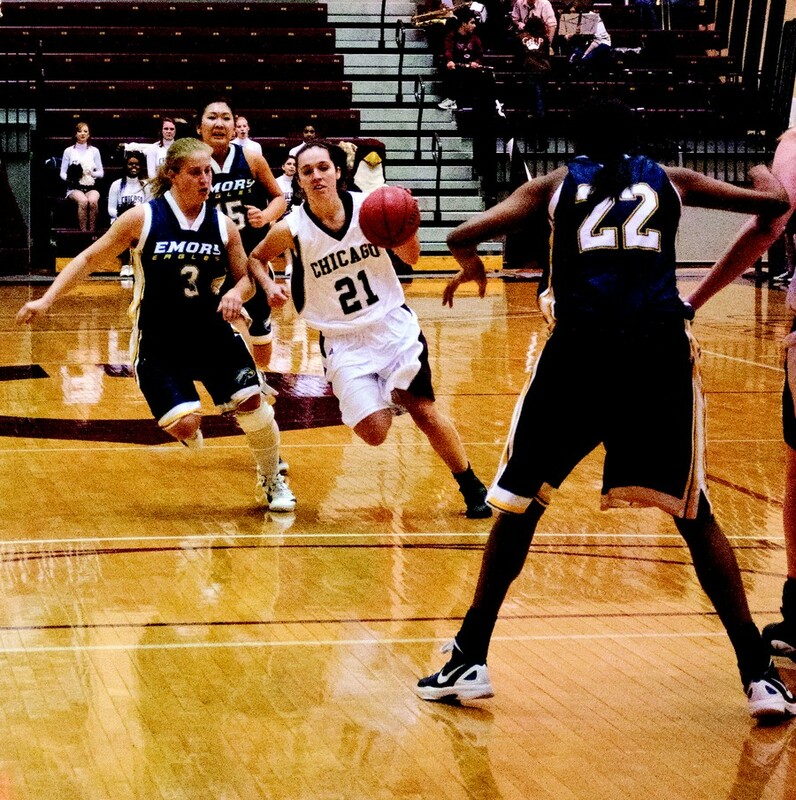 Only one Yellowjacket had more than four rebounds Sunday, compared to four Maroons. After defeating Rochester last weekend, Chicago is now one of four remaining unbeaten teams in the country. With only seven games remaining on the schedule and the dominance with which Chicago has been playing, it would not be unreasonable to see them run the table in the regular season. While going undefeated would be nice, members of the team reiterated over and over that the most important games happen in the postseason. After playing Emory tonight, the Maroons will spend the evening in Atlanta before flying to Rochester, where they will practice. Following the game Sunday, they will fly straight back to Chicago, for a total of three flights in the course of just four days. Whether or not this will play a part in the performance on the court is yet to be seen. Friday’s game begins at 5 p.m. (EST), and Sunday’s at 1 p.m. (EST). Both games will be streamed live online at athletics.uchicago.edu.